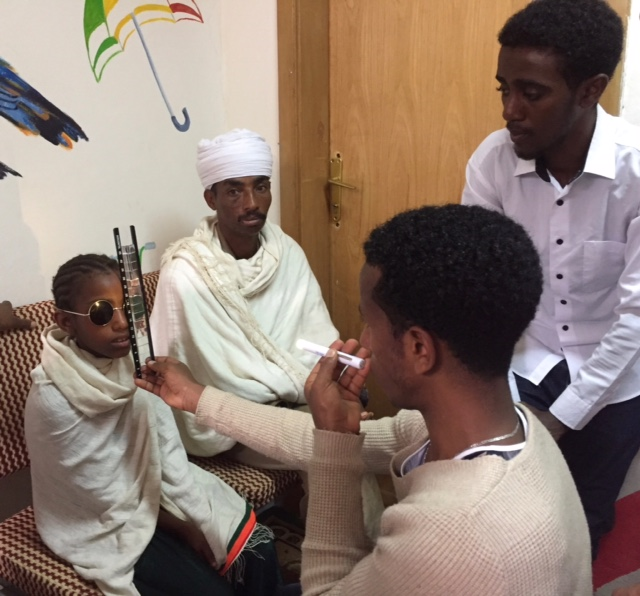 Jane Tapley and Clare Carney have recently returned from a successful training trip to the Gondar University Hospital Tertiary Eye Care and Training Centre where they conducted a workshop in orthoptics. Fisseha Admassu Ayele, MD Consultant ophthalmologist at the hospital reported back to us “thank you and your organization, for sending Mrs Jane Tapley and Mrs Clare Carney here in Gondar for the orthoptist training. Both were excellent clinical trainers with wealth of clinical skills and experience. All the residents and the optometrists loved the sessions as this is the first and only proper orthoptist training conducted so far in our center. It was a well planned, well prepared and well executed program.” We’re looking forward to returning there next year.